Have to go to party on 11th hours? Don’t have jewellery matching your dress? Not to worry. 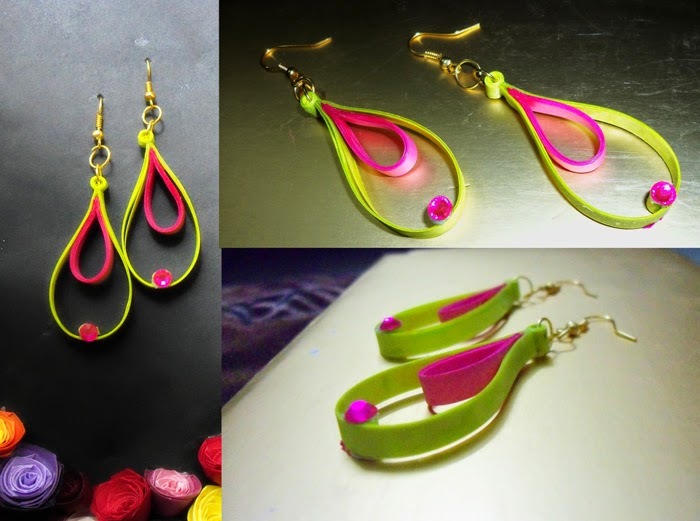 Here comes the instant & trendy jewellery - amazingly creative paper quilling jewellery designs. Jewels are the all time hit things on girl’s list. And they become more & more precious if they match their wardrobe & fit in their budget. Quilling is an art of Origami. 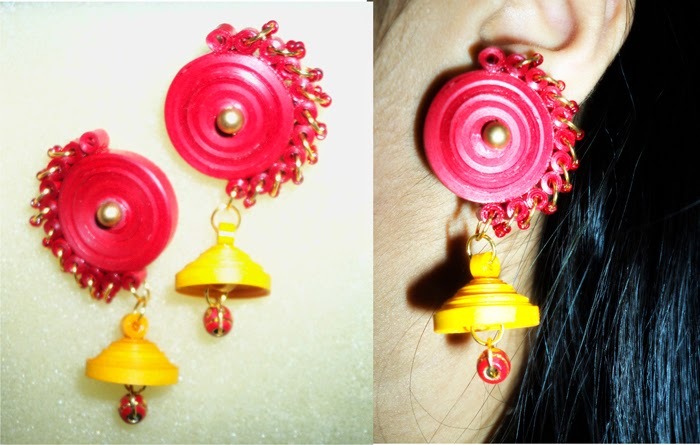 Just quilling paper can make wonderful paper jewellery. 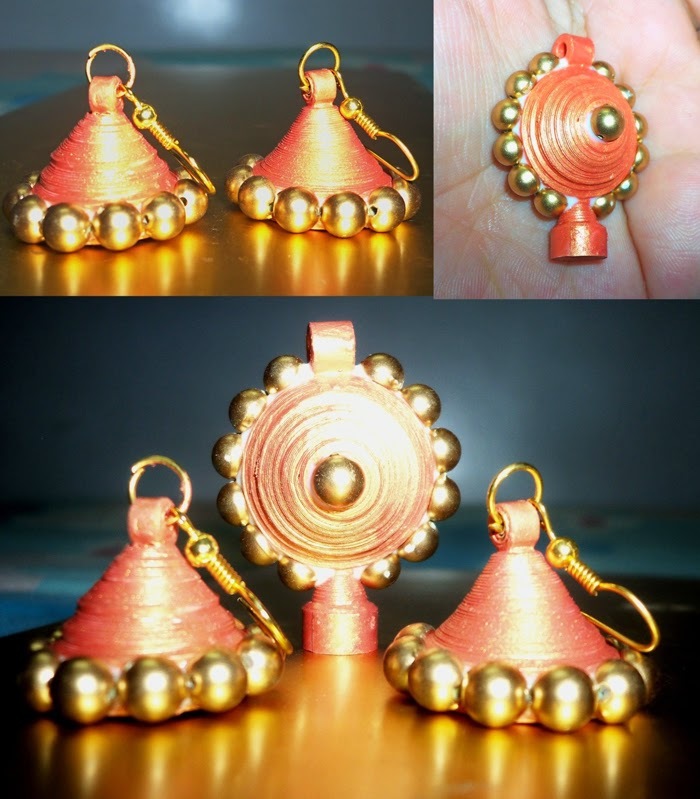 With the help of single tool, you can make number of shapes & jewels. 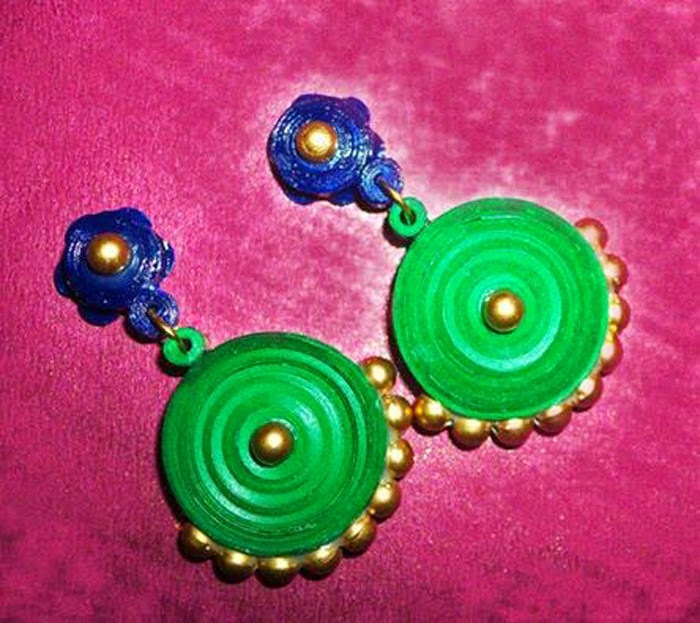 Be it circle, square, water drop or anything else, quilling give your jewellery really delicate & antique touch. 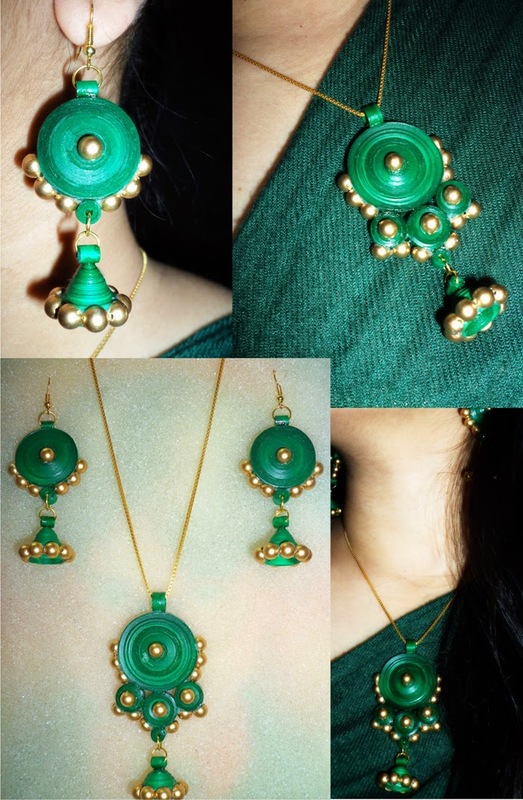 You can make it at home as your pastime & can have jewellery matching on every dress of yours. 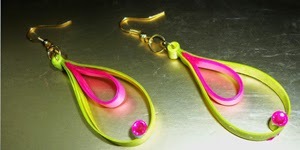 The world of paper quilling jewellery is really dazzling. With just handful of colour strips, you can create infinite colour combinations & hundreds of paper quilling jewellery designs. Paper Jewellery Designs -01 created by Dhanashri Chaudhari with diamonds. 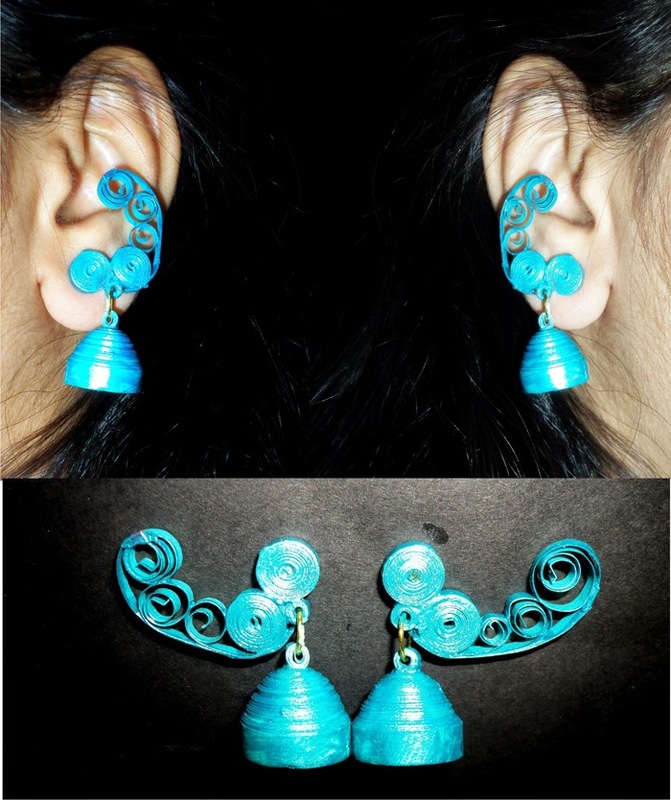 Paper Quilling Earrings Design -03 Painted with colours so thats look very beautiful. Copyright © 2013 Design Colossal. All rights reserved.